For a president renowned for body language and reticence, it was a week of mixed grill. First, seven governors visited to urge him on, losing sight of the implications of recent massacre of more than 73 innocent Benue State citizens civilians in cold blood. Then leaders of the party from the Southeast opened what would have become a floodgate of such endorsements for a second term in office. But there comes a letter in the presidential mailbox bearing what could be described as an electoral anthrax. The indicators emerged in multiples such that it became a matter of public knowledge that President Muhammadu Buhari was indeed wired for a fifth presidential contest. The first hint was dropped in far away Cote D’Ivoire, where he jocularly pointed to the presence of Akwa Ibom State governor, Udom Emmanuel of the Peoples Democratic Party (PDP), as part of his ready quarry for electoral purposes in the near future. Later during a visit to the north central state of Kano, President Buhari took Nigerians for granted as usual by slovenly announcing that he still has the state, as far as votes are concerned, in his pocket. He even gratuitously warned those contemplating a challenge (read Alhaji Atiku Abubakar) to take notice that Kano is a no-go area for them. However, on the cyber sphere a video of some Kano indigenes getting water from a tanker as they washed out “the feet of he who brings hunger and suffering” made the rounds. As most items on the social networks, there was no elaboration on the organisers of the city cleansing. But, in the wake of that Kano visit where the president “commissioned the release of 500 prisoners” most Nigerians recalled that what later manifested as a prolonged health challenge for President Muhammadu Buhari began as an affliction of the ear. While they debated the seriousness of Buhari’s interest in another term, commentators recalled how the presidency followed up with a public statement that the president was to travel overseas for a further treatment and undertake further checks on the hearing impairment. It was a terribly worried nation that mobilised its citizens across the various religious divides to pray for the survival of the president, especially when the nature and cause of his ailment were closely guarded secrets. Those who were compelled to draw a parallel with Buhari’s kinsman, the late President Umaru Musa Yar’Adua, were consoled by the fact that at least the former military head of state handed over officially to his deputy as prescribed by the constitution. Even at that Nigerians were astounded when a certain police officer threatened to slash the throat of 200 persons in the event that the president did not make it back to his presidential seat of power alive. The heightened sense of suspense predicated by the long absence of the president and the gory second-guesses about the real health condition of Buhari and the threat against 200 citizens, as well as, a notice served on Igbo to quit the north, did much to force Christians, Muslims, animists and atheists to activate their faith in hearty get-well-soon-and-return prayers for Buhari. Ever too religious, the joy of Nigerians knew no bounds when the president returned after exceeding the constitutional limit for a sitting president to be away. The overflow of emotional welcomes on the faces of Nigerians as the presidential jet and helicopter touched Kaduna and Abuja Airports, must have inspired the President with ideas of sustained popularity and acceptability despite a lackluster performance. To the surprise of many, the president began to display animated swag and signs of greatly improved health, such that the coterie of political jobbers and ethnic jingoists started nurturing the idea of a second four years for the president. 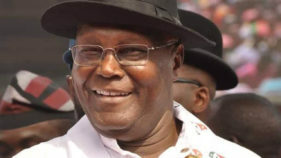 It took the return defection of former Vice President Atiku Abubakar from APC to PDP to drive home the message that Buhari’s interest in a fifth presidential contest was no longer a conjecture. Walking in the steps of some seven governors, leaders of the Southeast zone of APC found their way to the Presidential Villa, where they conveyed their endorsement of the president for a second term in office. The mixed multitude of political messengers convinced Buhari of the genuineness of their stand, stressing that despite the deficiency of 2015, they have come to the realisation that his second term in office is the shortest path to their kin occupying the exalted political office. It happened that the visit of the southeast caucus of APC to the villa was actually the consummation and communication of the resolutions reached on December 31, 2017 at the Uburu country home of Dr. Ogbonnaya Onu. Comprising mostly defectors from the PDP, the delegation noted that the zone has realised its mistakes and therefore wants to be in the mainstream and work for the success of APC. In the statement read by the deputy national vice chairman of the party, Mr. Emmanuel Eneukwu, the leaders pleaded with President Buhari to ensure that after his second term in 2023, he ensures that a person from Southeast succeeds him. The simplicity of the request and the caliber of political actors on the entourage must have convinced the President that he was inches away from another four years of extended presidential mandate. It was becoming possible that with such regional endorsements, he would rival former President Olusegun Obasanjo’s record of serving two terms of civilian rule after a stint as military head of state. Having been a rambunctious occupant of the fortified presidential villa, Obasanjo knows full well that Nigerians’ docility and the sycophancy of political actors could throw up another Abachaic conundrum in the polity. 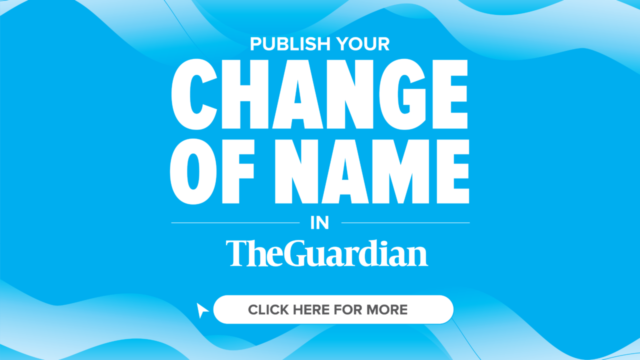 As such, the former president employed clear language and, believing that some auditory challenges might interfere with the message chose a letter. Only those who remember the crucial roles played by Obasanjo in the ouster of former President Goodluck Jonathan, especially in swaying the momentum of national sentiment against his (Jonathan’s) president would understand the gravity of the public letter. Obasanjo must have been peeved that a man who lost many man-hours out of his presidential mandate and snatched wellness from a life-threatening ailment via national prayer crusade should be contemplating another season of cyclical breaks. Stylishly selling the president as the problem with Nigeria, the former president stated, “Nigeria needs to move on and move forward.” Placed side by side with his position in December 21, 2013 when he was invited to help navigate Nigeria away from PDP control, Obasanjo’s frustrations could be estimated. He had noted that resolving “the challenges facing Nigeria had gone beyond party politics,” and that only what is best for the nation should be paramount. “You are at home and you are welcome. As time goes on I will just appeal that the politics that will be played should be politics without rancour, without bitterness; politics with decency that has Nigerians at heart,” Obasanjo added. Former Lagos State governor, who was later to become a national leader of APC, Asiwaju Bola Tinubu, summed up Obasanjo’s place in Nigeria’s political development in his remarks on the occasion of the visit. The interim national chairman of APC, Bisi Akande, pledged the party’s support for Obasanjo’s 18-page letter to the then President Jonathan. It is obvious that Obasanjo was not originally in the picture in the formation of the APC, but was merely invited. However, sources disclosed shortly after the party’s visit to his Hilltop mansion in Ogun State that the former president had pleaded with the promoters of APC to consider former Kano State governor, now, Senator Rabiu Kwankwaso, or any other as its presidential flag bearer instead of Buhari. Could it be then, that frustrated by the shaky progress of the APC vessel he was invited to navigate, the former president prefers a new platform where he could act as the lighthouse? And having stood on the sidelines for long after being neither PDP nor APC, Obasanjo must have espied an opportunity to mobilise the nation and rouse the citizenry from apathy towards active participation. Sounding more like one plotting a civilian coup, the former president went philosophical: “We need moral re-armament and engaging togetherness of people of like-mind and goodwill to come solidly together to lift Nigeria up. This is no time for trading blame or embarking on futile argument and neither should we accept untenable excuses for non-performance. Like a sharp needle to a balloon, Chief Obasanjo’s letter achieved great impact and landed much like a hydrogen bomb on its intended target. An overzealous minister who wanted to be on record as the first to invest in Buhari’s second term chase was stopped from carrying on with the distribution of campaign materials. That was the first sign that the old horse may not leave the stable after all. 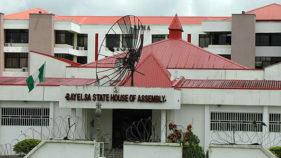 Instead of more endorsement visits to the villa, words of support and denunciation flooded the media space. Even from within the APC space. Senator Sanni echoed former Jigawa State governor, Sule Lamido, by saying that “there exist a regime and climate of fear among the ruling political establishment; the views expressed before the president is a polar difference and distant from the views they express behind the president. Even before Obasanjo’s indictment, the situation in the ruling APC was dissolute. From the sidelining of Tinubu’s Southwest to the attempted rapprochement with the southeast, it was obvious that the party failed to strike purposeful harmony. Apart from appointments, the president chose to be aloof and lead more like a sole administrator. Left to be his own man, the president was repeating old mistakes and making his shortcomings glaring. It was therefore easy to draw a parallel between the 53 suitcases and the messy return of Abdulrasheed Maina to the federal civil service despite being a fugitive of the law. 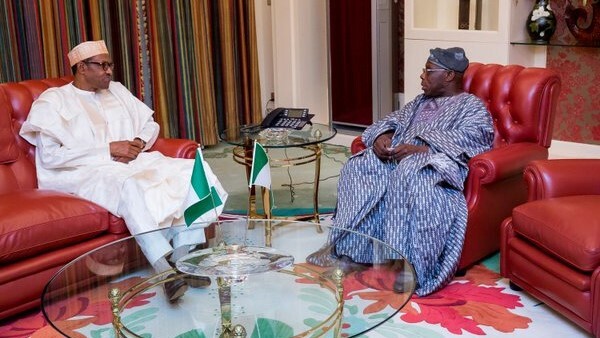 Forgetting the need for balance in his appointments President Buhari must have opened himself up for Obasanjo’s barbs when he replaced a former Yoruba director of Nigeria Intelligence Agency (NIA), Ambasador Ayodele Oke, with a Ahmed Abubakar, from the north. Now that Obasanjo has sounded the beagle for a third force, who is involved? 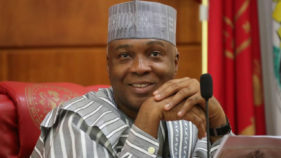 With the alleged plot to displace Dr. Bukola Saraki as Senate President, could it be that Saraki and his political haymakers will form part of the new movement? No doubt, within the APC, mutual suspicion must have set in. With the discordant tones trailing the mode of placing the president on the ballot as the party’s flag-bearer in 2019, it is obvious that Obasanjo’s letter could be a proxy emissary to dissuade the president from leading the country to another impasse. Without Buhari on the ballot, how far will APC go? That is the most important question that Obasanjo’s letter has subtly raised.